Coral Princess Cruises has teamed up with world-renowned nature photographer, Steve Parish to help passengers 'capture' the magnificence of the Kimberley, on a 10-night cruise between Broome and Darwin. The brilliant light of the Kimberley both inspires and challenges photographers: the intense palette of the landscape is undeniably dramatic – but to capture the extreme contrasts photographically and render them accurately requires a little insider knowledge. Ten days under Steve Parish's tutelage is a precious insight into the tricks of the trade. Over aeons, the Kimberley coast of Western Australia has been scored and scoured by wind and water and painted with a super-saturated palette to form one of the most dramatic landscapes on earth. 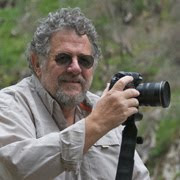 Steve Parish – who rarely conducts photography classes – will draw on his 40 years of photographic field work in diverse Australian landscapes to inspire guests aboard the Oceanic Discoverer to capture their own vision of the Kimberley. For Parish, whose work is recognised around the world and who has published numerous books, photography is "about promoting an understanding of the importance of nature. The first step has to be to light a fire in someone — inspire them to learn more, inspire them to genuinely become one with nature, urge them to connect with it and to celebrate its beauty and diversity."